My background is in electrical engineering. I started painting at age 35 after seeing Kandinsky's "Painting With White Border" at the Guggenheim - NYC. 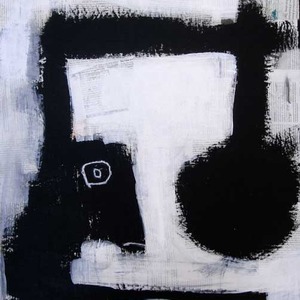 Moved to NYC in June 2007 to pursue interests in art.Inspired by abstract art and primitive art. Favorite artists include: Paul Klee, Vasilly Kandinsky, Wosene, Jean-Michel Basquiat, Wolf Kahn, Robert Rauschenberg, Primitive Art (Egyptian, American Indian, African, etc. )My artwork is a collage of improvisational sessions mixed and layered together over the course of days, weeks, or months. The ideas and inspiration come from whatever I see and experience in everyday life. The end restuls is a melting pot of random thoughts, feelings, inspiration, and influences. It's similar to a dream where things stored in your head get mixed together in strange ways. I am not always sure what my paintings are about, and they are open to interpretation.Since I have no formal art training, I learn through studying the art of others and mix this into my own artwork. My biggest influences are the abstract painters, and primitive art from the American Indians and Egyptians. I also like Outsider Art, and Self-Taught Art.